Eat Grace to Have a Strong Heart? How do you Eat Grace? In a short period of time, David faced Goliath, King Saul, Doeg and Achish. God had David on a fast-track course of discipleship. It began with his decision to give God his whole heart, and seek to know God’s heart. It grew as he diligently applied himself to knowing the ways of God. But through his trials with Saul, Doeg and Achish, David developed into a Mighty Man of God. David developed because David paid attention and learned. The lessons that God wanted David to learn and live he recorded in three Psalms that David wrote after those experiences. I believe one of the greatest gifts you can leave your children and grand-children is a record of the discipleship lessons God has taught you. Do you keep a record of what God is teaching you? Do you take notes? If you are not paying attention to what God is teaching you, He will stop teaching you. Thank God David paid attention. 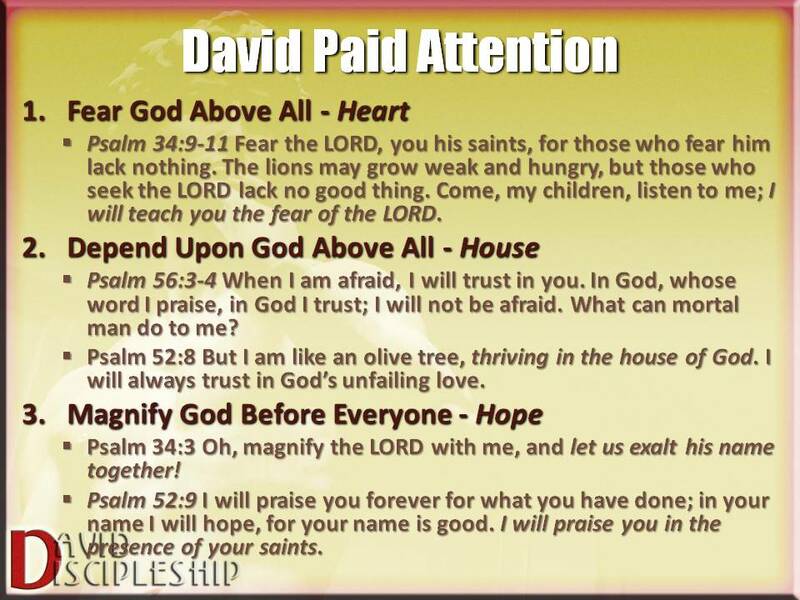 The three lessons David learned after Saul, Doeg and Achish were recorded in Psalms 34, 52 and 56. Those three lessons parallel the three things God most delights in and wants His disciples to know and understand – hesed, mishpat and tsedeqah. David realized that he must fear God above man. His heart was firmly fixed upon God. His heart feared God when everyone around him feared man. David knew the hesed (unfailing Love) of God would keep Him in God’s care. Psalm 34:9-11 Fear the LORD, you his saints, for those who fear him lack nothing. The lions may grow weak and hungry, but those who seek the LORD lack no good thing. Come, my children, listen to me; I will teach you the fear of the LORD. Early in his youth David learned that God’s House is a special place, and saw how God designed His house to be a certain way. David desired the justice of God’s house to be in his life, and to be in his house. To know God’s justice, David learned to depend upon God above anyone or anything in this world, including himself. Psalm 56:3-4 When I am afraid, I will trust in you. In God, whose word I praise, in God I trust; I will not be afraid. What can mortal man do to me? Psalm 52:8 But I am like an olive tree, thriving in the house of God. I will always trust in God’s unfailing love. David learned that God would provide His righteousness for Him. David learned that God was His hope and his righteousness, and that he must exalt Him before everyone, that they might know the hope of his heart. Psalm 34:3 Oh, magnify the LORD with me, and let us exalt his name together! Psalm 52:9 I will praise you forever for what you have done; in your name I will hope, for your name is good. I will praise you in the presence of your saints. Let’s see how these lessons are demonstrated in I Samuel 22 & 23. Last week we left David at Nob, where Ahimelech gave him the Holy Bread and the sword of Goliath. After enquiring of the Lord, the Lord said to go to Gath and seek help from Achish, King of Gath. I assume God told him, because God wanted David to learn not to fear. David may have thought he might get some respect from Saul’s enemy, especially since David had killed their great warrior. Instead, King Achish seized David, and would have killed him, but David started acting like he was insane. 1 Samuel 21:12-13 And David took these words to heart and was much afraid of Achish the king of Gath. So he changed his behavior before them and pretended to be insane in their hands and made marks on the doors of the gate and let his spittle run down his beard. A few miles away David sought a hiding place in the caves of Adullam. It was close to his home in Bethlehem, and so his family came to see him. Word got out about David, and around 400 men sought him out. 1 Samuel 22:1-2 David departed from there and escaped to the cave of Adullam. And when his brothers and all his father’s house heard it, they went down there to him. And everyone who was in distress (māṣôq), and everyone who was in debt נָשָׁא‎ (nāshâ), and everyone who was bitter in soul (mar nephesh), gathered to him. And he became captain over them. And there were with him about four hundred men. māṣôq: A masculine noun meaning distress, anguish. It refers to hardships and anxiety (Deut. 28:53, 55, 57; Jer. 19:9); especially brought on from disobeying the Lord but also from general social and political conditions (1 Sam. 22:2). The psalmist suffered anguish, relieved only by following the Lord’s delightful Law (Ps. 119:143). In four of those times, the King James translates it “straitness”, and in each of those four times, it is talking about the kind of distress a person will experience when they are in such a horrible time of famine that they would have to actually resort to eating their own children (Deut. 28:53,55,57; Jer. 19:9). It describes people who are so desperate that they will do anything. Psa 119:143 Trouble and anguish have taken hold on me: yet thy commandments are my delights. Deuteronomy 28:53 And you shall eat the offspring of your own body, the flesh of your sons and daughters, whom the LORD your God has given you, in the siege and in the distress with which your enemies shall distress you. ‏נָשָׁא‎ (nāshâ) lend on interest or usury – people who were in great debt, being charged high interest by fellow jews, which was contrary to the law. mar-nephesh, “bitter of spirit,” used of Hannah, deprived of a child, in 1:10, and of David’s soldiers, whose women and children the Amalekites had seized (30:6). Cf. also 2 Sm 17:8. David becomes a hero for those who have endured loss or deprivation. These men were bitter in their soul, feeling cut off from the mercy of God. These men were overwhelmed with debt, that because of unlawful interest rates, made it impossible to repay. They had been taken advantage of by unjust men. Now they couldn’t provide for their ‘house’ – their families. These men were in distress due to circumstances beyond their control. Their hopes had been dashed and they felt there was no place to go. So these men needed to know mercy (hesed), they needed to experience justice (mishpat) and they needed to know the hope of righteousness (tsedeqah). They needed a leader to restore the love of God to their heart, to restore justice to their house, and to bring rightness and hope back to their disillusioned lives. 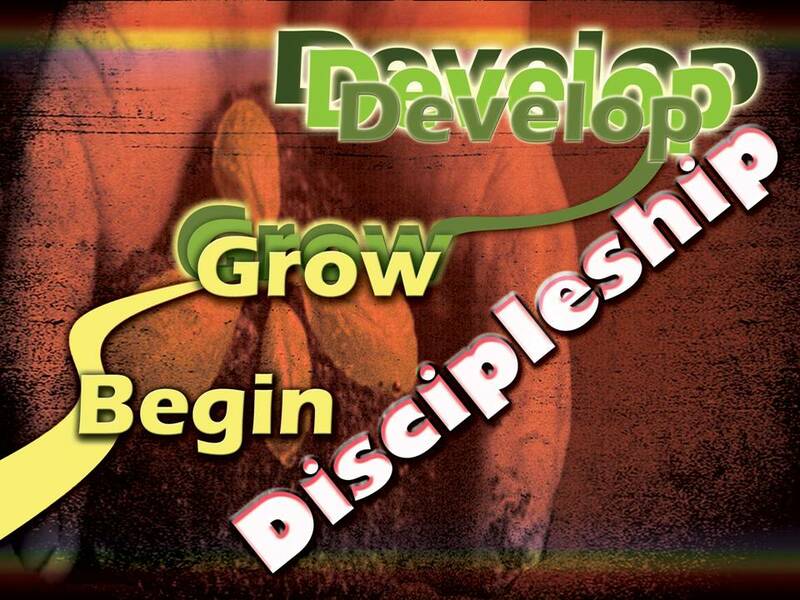 Discipleship develops Kings, Priests and Mighty Men! These men were poor, they would have been held captive because of debts, and they were oppressed by circumstances. Remember These Men. We Will Draw Some Truths From Them, But First We Have To Get To The Rock! Verse 3. “Mizpeh” signifies a watchtower, and it is evident that it must be taken in this sense here, for it is called “the hold” or fort (1Sa 22:4). The king of Moab was an enemy of Saul (1Sa 14:47), and the great-grandson of Ruth, of course, was related to the family of Jesse. With me, you are in a guarded place! I can see Him who is invisible, and as long as I fear Him more than man, He will guard me…If you are with me, He will guard you as well. Psalm 34 “In my desperation I prayed, and the LORD listened; he saved me from all my troubles. For the angel of the LORD is a guard; he surrounds and defends all who fear him…Fear the LORD, you his godly people, for those who fear him will have all they need…Come, my children, and listen to me, and I will teach you to fear the LORD”. Would anyone in their right mind believe they would be kept safe simply by staying with the most wanted man in Israel? David had such a trust in God that he could boldly profess God’s protection. His men began to trust David as they saw God work! David was settling down in Moab. God wanted these men to be pushed to the limit as far as trust in God was concerned. He wanted them to trust Him even in the midst of evil and danger. So God sent a prophet to tell David to leave Moab and return to Judah. 1 Samuel 22:5 Then the prophet Gad said to David, “Do not remain in the stronghold; depart, and go into the land of Judah.” So David departed and went into the forest of Hereth. God did not want David to remain outside the country of Judah. God wanted to demonstrate His power to David and to the men who were with him. God knew that all of Israel would be watching. God wanted them to see His power! God was telling David, “it is too easy to protect you so far away from Saul. That’s not much of a testimony of my Greatness! Come on back to Judah, where Saul has thousands of spies to tell him where you are at. This will give me a great opportunity to show you how I can protect you and keep you”. In fact, 1 Samuel 23:3 reveals that David’s men really needed to learn this: They told him, “we are afraid here in Judah”. 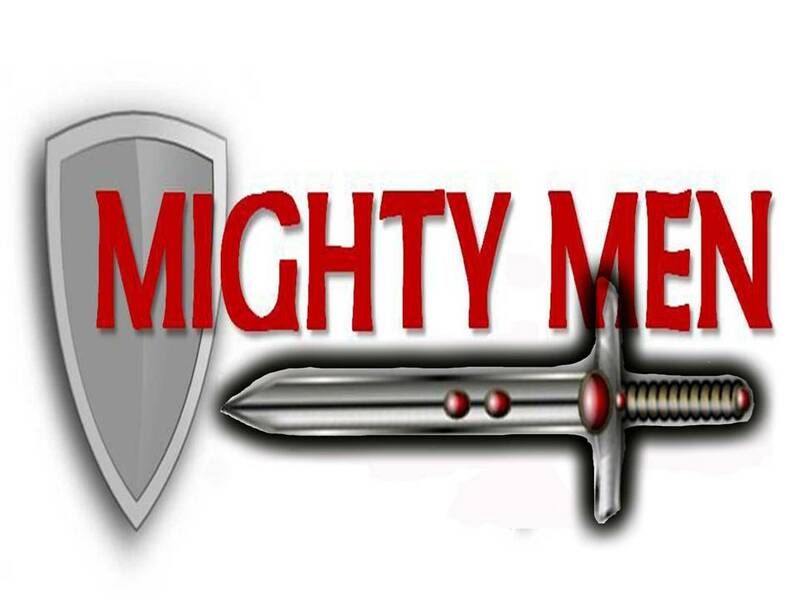 They were not worthy of being called “Mighty” yet! David did so by always inquiring of the Lord! Verse 4: Then David inquired of the LORD again. Finally, when things got really heated, and Saul was close on his heels, David did what we all must do, he went to the Rock! Verse 25: And Saul and his men went to seek him. And David was told, so he went down to the rock and lived in the wilderness of Maon. Every time David needed direction, he inquired of the Lord. His fear of the Lord was so great, that he did not want to do anything counter to His will. His dependence upon the Lord was such that He would not make a move without clear direction from God. To those men who said “we are afraid here in Judah”, what kind of testimony did that provide them? Here is a man of obvious cunning and skill, and yet he is always asking God what to do! David demonstrated that he trusted God in everything, trusted enough to ask God what God wanted before he did it! Strengthened – chazaq – to strengthen, prevail, harden, be strong, become strong, be courageous, be firm, grow firm, be resolute, be sore. The form in Hebrew is a “Piel” stem, meaning an “intensive” form. He really, really strengthened David. When things get scary, even overwhelming, cry out to Jesus Christ. He promised to never leave you nor forsake you. Be strong and of good courage. Do not be afraid. David, the man who feared God rather than man, sent a message loud and clear to his men – as long as we depend upon and follow God, we will be safe. We have nothing to fear. God is greater than King Saul. God is greater than all the spies. I’m sure David had this in mind when he wrote Ps 61:2 “From the end of the earth will I cry unto thee, when my heart is overwhelmed: lead me to the rock that is higher than I“. Paul declared that Jesus is our Rock, and He is typified by the rock from which water flowed after Moses struck it. 1 Cor 10:4 “And did all drink the same spiritual drink: for they drank of that spiritual Rock that followed them: and that Rock was Christ”. Peter declares that Jesus is a rock, but a rock of offence: 1 Pet 2:8 And a stone of stumbling, and a rock of offence, even to them which stumble at the word, being disobedient: whereunto also they were appointed. Most pictures of Jesus birth have him in a wooden manger. 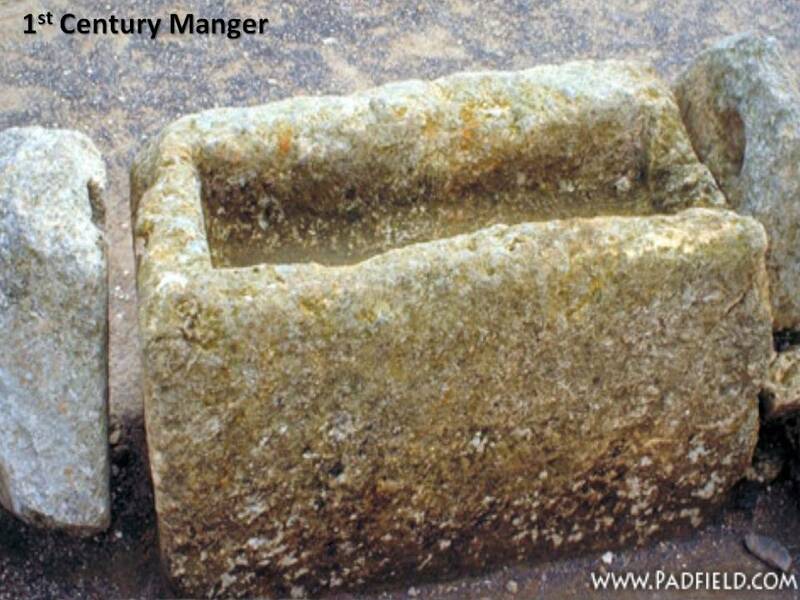 Archaeologist have discovered many stone mangers (or feeding troughs) from the time of Christ. Due to the abundance of stone and scarcity of trees around Bethlehem, it is most likely the manger Mary placed Jesus in was made from stone. It would be God’s doing if that rock came from Sela-hammahlekoth. For truly the manger represents the “Rock of Division”. Even our Calendar is divided by the manger. The very year we are in (AD 2011) means this is the 2011th year since the birth of Jesus “anno domini”. The day before was BC or “before Christ”. I believe the manger was made of rock, whether in a cave or the lower level of a home, or a corral behind a home. I believe the manger represents this “rock of Division” that God used to rescue his beloved on. 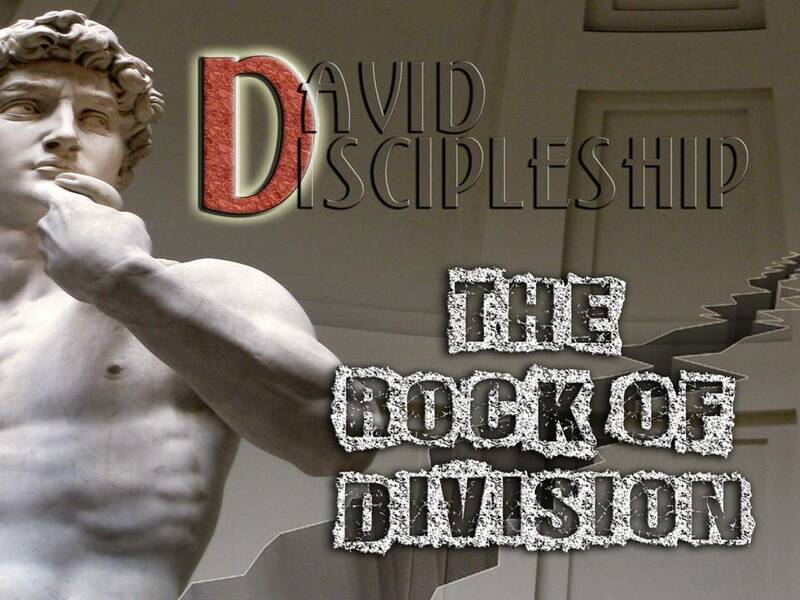 There is a Rock of Division that runs throughout the Old and New Testaments. There is the Rock that Abraham climbed with his son Isaac. The rock that divided Abraham from trusting in God or trusting in himself. The rock upon which he placed Isaac in obedience to God. There is the Rock on which Moses stood to receive the Law from the hand of God. The rock that divided his people from the world and separated them unto God. There was a rock, a cornerstone, that the builders rejected and hung upon a cross, on the rock called Golgotha. That rock divided two men, one died in his sins and is burning in Hell even today. The other man trusted in the rock, and joined Him that day in Paradise! There is a rock that was rolled away and a Triumphant Jesus Christ stepped forth. That rolling rock meant that Satan had been conquered, and sin and death could hold us no longer. That rolling rock meant that no grave will hold us, no demon of hell will grab us, for we have trusted in this Risen Savior! One day there will be a mighty stone cast upon the earth, and it will destroy the great whore Babylon, and all those who worshipped her. He that judges will cast Satan and all those who rejected the cornerstone into the lake of Fire for all eternity. One Day a building made of precious stones will descend rom Heaven, and all those who have trusted in the Chief Cornerstone will find a mansion to live in for all eternity. 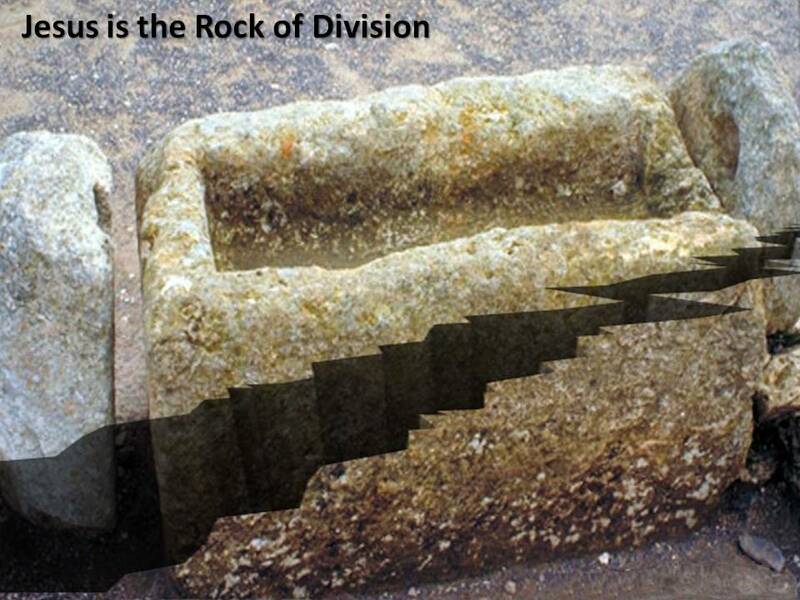 Yes Jesus was placed on a rock of division. He was not just a baby. He was not just “the reason for the season”. Jesus Christ is the very Rock of Division. He is the Divider of Mankind. John 14:6 Jesus said to him, “I am the way, and the truth, and the life; no one comes to the Father, but by me. This Christmas, everyone you meet, every family member you hug, is on one side or the other of the Rock of DIvision. They are either clinging to the Rock, or they are clinging to something else, or trying to make it on their own. They either trust the Rock for their salvation, or they are lost and on their way to Hell. There is no in between, no purgatory, no second chance. 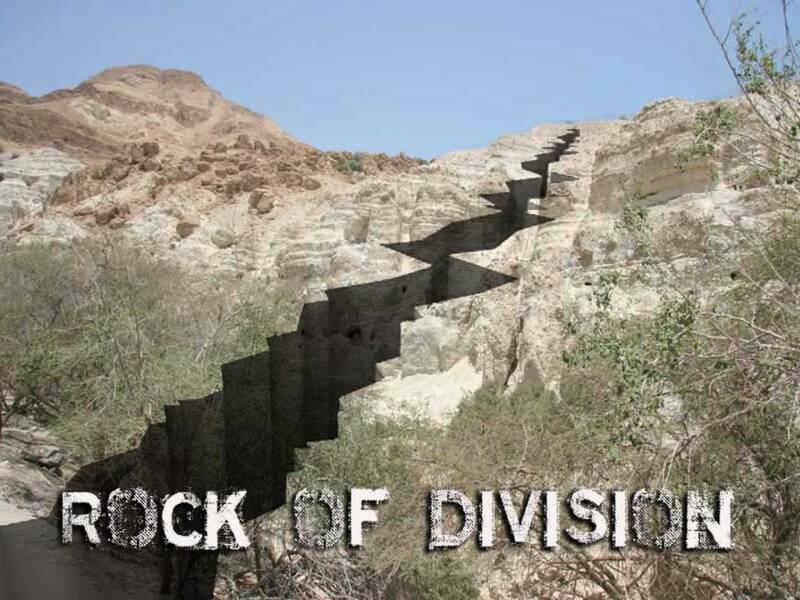 We all face the rock of division. We either see the Rock of Jesus Christ as our only Hope, our only righteousness, and our only salvation, or we have no protection, we are trying to walk on sifting sand, sand that is slowly sifting to Hell. 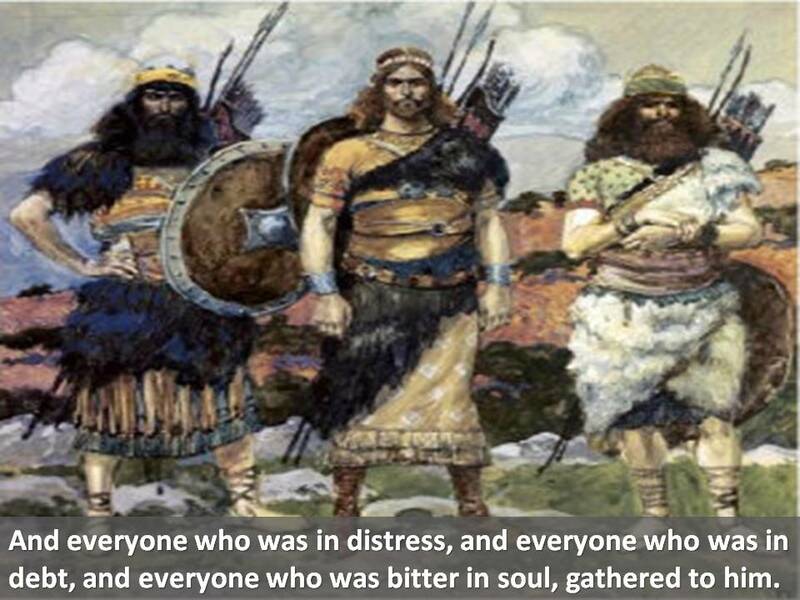 David had a group of men whom the world had rejected. They were hopelessly beaten down, drowning in debt, and broken in soul. They came to David, a man whose Heart was given totally to following God. A Man building a House whose Foundation was God’s Word, and a Man whose Hope was in the Righteousness of God. As these men followed David, there lives were changed, they became alive to God, to trusting in God, and David called them his Gibborim, his Mighty Men! They became followers of El-Gibbor – The mighty God. David taught them to fear the Lord above all I will teach you the fear of the LORD. Do You want to be a Mighty Man or Woman? Do you want to get on the winning side of the Rock? Do you see your need for a Savior? 1. Come as you are. Are you in distress over this life? Do you realize you owe a debt you can never repay? Jesus died for your sins, sins that meant you deserve condemnation in Hell. He redeemed you, paid the price to free you from your sins. You owe Him a debt you can never repay. Come to Him. Are you carrying a heavy weight in your soul. Has life been so unjust that you ache. 3. Come and bring your Sword! Jesus is building an army of mighty men and women willing to take on the world! Discipleship is never passive, but always offensive! Warren Baker and Eugene Carpenter, The Complete Word Study Dictionary – Old Testament, (Chattanooga, TN: AMG Publishers, 2003), WORDsearch CROSS e-book, 654. R. Laird Harris, Gleason L. Archer, Bruce K. Waltke, ed., “1424: ‏נָשָׁא‎,” in Theological Wordbook of the Old Testament, (Chicago: Moody Press, 1980), WORDsearch CROSS e-book, Under: ” nāshâ“. Robert Jamieson, A.R. Fausset, David Brown, A Commentary: Critical, Experimental, and Practical on the Old and New Testaments, (Toledo, OH: Jerome B. Names & Co., 1884), WORDsearch CROSS e-book, Under: “1 SAMUEL”. In one of the most dramatic scenes on the big screen, we find a young naive boy being hotly pursued by a demonic monster. The young boy has only one chance to make an impossible shot that would destroy a weapon of mass destruction that is being directed at his friends. Just as the demonic monster has the young boy in his sights and is about to finish him off, his friend, Han Solo swoops down to save the day. He shoots at Dart Vader, disabling his ship, and this allows young Luke Skywalker to make that shot in a billion, destroying the Death Star and saving the rebel alliance. Luke and Han return to the rebel base and are hailed as HEROES! We love Heroes. Movies, books, video games, sports, are all about Heroes. We love Champions. We love Winners! We all have images, scenes burned into our minds of those heroic moments-Chariots of Fire (slow running), Braveheart (blue paint), Rocky vs Drago, even Elle Woods before a joint session of congress saving the animals. Centuries ago we have a scene recorded in 1st Samuel. A warring nation of Philistines has the Israelites cowering before them. All because they have a Champion named Goliath. He’s big, really big, and the little Israelites are afraid to fight him. The word for champion is Gibbor. Gibbor means hero, champion, conqueror. It also means mighty as in warrior. It is a manly name, not a sissy name. David hero himself, attracted 600 similar “heroes” to his side while he was being pursued by Saul. 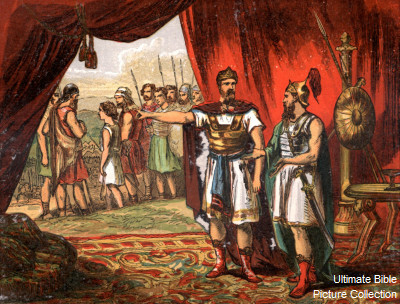 When David became King, these 600 men became his elite military corps. He called them his Gibborim – “Mighty Men”. Now look with me at Mary & Joseph. Imagine seeing Mary holding a little baby. Joseph is by her side. The baby has just been born and is sleeping. Mary holds in her arms El Gibbor, God the Mighty Champion, God the Proven Warrior, our Divine Hero, God our Conqueror. This was the second name ascribed to Jesus in Isaiah 9:6. Jesus is Mighty God! In Isa 9:6, The child that is born, the son who is given, is called Wonderful Counselor, and then EL GIBBOR, translated in most of your Bibles as Mighty God. Modern translators have also said Powerful God, Strong God. We first see God called El Gibbor in Deuteronomy 10:17. Moses in Deuteronomy 9 & 10 is preparing His people for their crossing into the promised land. He is reminding them of all God has done over the past 40 years. The way He miraculously delivered them from Egypt and how he sustained them in the desert wilderness. He recounts how God gave him the 10 commandments, not once, but twice. He reminds them of His covenant with them and how they must submit and not be stiff-necked. For God is God of Gods and Lord of Lords, MIGHTY (Gibbor). Deuteronomy 10: 17 For the Lord your God is God of gods and Lord of lords, the great God, mighty and awesome, who shows no partiality nor takes a bribe. God is Mighty in His ability to Keep His Covenant with His People. Only God Jehovah is Mighty and Strong enough to keep His Covenants with His children. Psalms 24:8 Who is this King of glory? The LORD strong and mighty, the LORD mighty in battle. He fought and defeated the enemies we could not. a) No man has ever been able to defeat his power. His throne and reign on earth is absolute. b) Jesus met Satan head on and defeated him at every turn. He defeated him by the Power of the Word of God! c) He may still roam the earth as a roaring lion, but as everyone knows, only the weak old lions roar. The young powerful lions stalk their prey quietly, and then pounce. d) No Satan is roaring because he was mortally wounded by our Hero God. His days are numbered and he knows it. Revelation 20:10 (KJV) 10 And the devil that deceived them was cast into the lake of fire and brimstone, where the beast and the false prophet are, and shall be tormented day and night forever and ever. B. Jesus has defeated Sin. 1. “Behold, the Lamb of God who takes away the sin of the world! 2. Jesus was the second Adam who did not sin, and by defeating the power of sin in His flesh, enables all who believe in Him and walk in the Spirit, to escape the power of sin. 3. When God sees believer’s, He sees us in Jesus Christ. He sees us clothed in the righteousness of our Savior. 4. We are that spotless bride. 1 John 3:5 (NKJV) 5 And you know that He was manifested to take away our sins, and in Him there is no sin. Jesus is Our Battle Proven Warrior Hero! 1. Peter in his sermon in Acts 2:24 “And God raised Him up again, putting an end to the agony of death, since it was impossible for Him to be held in its power. 3. IF We are in Christ We SHALL LIVE! A. Only Jesus, Mighty God has the Power to Keep the Covenant of Forgiveness and Eternal Life. Hebrews 12:24 (NLT) 24 You have come to Jesus, the one who mediates the new covenant between God and people, and to the sprinkled blood, which speaks of forgiveness instead of crying out for vengeance like the blood of Abel. Hebrews 2:10 (NKJV) For it was fitting for Him, for whom are all things and by whom are all things, in bringing many sons to glory, to make the captain of their salvation perfect through sufferings. Hebrews 12:2 (NKJV) 2 looking unto Jesus, the author and finisher of our faith, who for the joy that was set before Him endured the cross, despising the shame, and has sat down at the right hand of the throne of God. The word for captain and author is archegos. prince or leader (Vines). It contains the ideas of supremacy, personal participation, being first. You can picture that first mountain climber to scale Mt Everest, he goes ahead of the others, chipping away footholds, inserting pitons, and extending the rope to his partners. You can visualize him as the mighty warrior going ahead in the battle and single handedly defeating the enemy. Jesus is our True Champion. He was the lamb slain before the foundation of the world. He is our true champion and the Savior of our souls. We owe Him our lives. We owe Him our obedience. We owe Him our reverence. There is no battle on this earth you can face that He has not conquered. There is no hurt that He does not feel. There is no suffering that He does not know. There is no storm that He cannot silence, there is no problem that He cannot safely guide you through.He went first and He won. He is the Champion that you need each and every day. There will be no drug scandal tainting His victory. There will be no moral scandal in his life. He overcame every possible obstacle, and He Won! He endured the Cross for you and me, and now He reins supreme. Some of you may be saying, El Gibbor, so what. He was just a baby born in a manger, no big deal. There will be no change in your heart, no change in your life, no change in your priorities, no change in who or what drives your life. There was a similar group of people who were shown, in living color, with powerful video, the EL GIBBOR. He freed them from the mightiest Nation, with the mightiest army, He vanguished that army in one of the greatest miracles of all time, he fed those people with manna, with quail, he provided them water from a rock which travelled with them in the wilderness. He healed them from snake bites by simply having them look at a brazen serpent held up on a cross. He led them by a fire at night. His presence was visibly among them. Hebrews 4:2-3 For indeed the gospel was preached to us as well as to them; but the word which they heard did not profit them, not being mixed with faith in those who heard it. 3 For we who have believed do enter that rest. There is rest for the souls of those who give their hearts and lives to EL Gibbor. He has provided us the most precious gift, the gift of His Son, who himself is El Gibbor. Do You Know this Mighty God. He’s God’s Son. He’s My King! He’s the sinner’s savior. He’s unparalleled. He’s unprecedented. He’s supreme. He’s pre-eminent. He supplies strength for the weak. He’s available for the tempted and the tried. He sympathizes and He saves. He heals the sick. He cleanses the lepers. He forgives sinners. He discharges debtors. He delivers the captives. He defends the feeble. He blesses the young. He serves the unfortunate. He regards the aged. He rewards the diligent and He beautifies the meek. That’s my King. Do you know Him? He’s the wellspring of wisdom. He’s the doorway of deliverance. He’s the pathway of peace. He’s the roadway of righteousness. He’s the highway of holiness. He’s the gateway of glory. He’s the master of the mighty. He’s the captain of the conquerors. He’s the head of the heroes….He’s the governor of governors. He’s the prince of princes. He’s the President of Presidents. He’s the King of kings and He’s the Lord of lords. His goodness is limitless. His mercy is everlasting. His love never changes. His Word is enough. His grace is sufficient. His reign is righteous. His yoke is easy and His burden is light. I wish I could describe Him to you . . .but He’s indescribable…. Pharisees couldn’t stand Him, but they found out they couldn’t stop Him. Pilot couldn’t find any fault in Him. The witnesses couldn’t get their testimonies to agree. Herod couldn’t kill Him. Death couldn’t handle Him and the grave couldn’t hold Him. He’s the King of righteousness. He’s the King of the ages. He’s the King of Heaven. He’s the King of glory. You can’t impeach Him And He’s Not gonna Resign. Thine is the Kingdom and the Power and the Glory forever and forever and when you get through with all the forever’s. AMEN! Do You Know this Mighty God. Does Jesus live in your heart? Do you Know my King? Zephaniah 3:17 (ESV) The Lord your God is in your midst, a mighty one who will save; he will rejoice over you with gladness; he will quiet you by his love; he will exult over you with loud singing. God is described in the Old Testament as El Gibbor – The Mighty God. Moses called Him Gibbor as he was encouraging the stubborn Israelites to submit to the God of Gods and Lord of Lords. 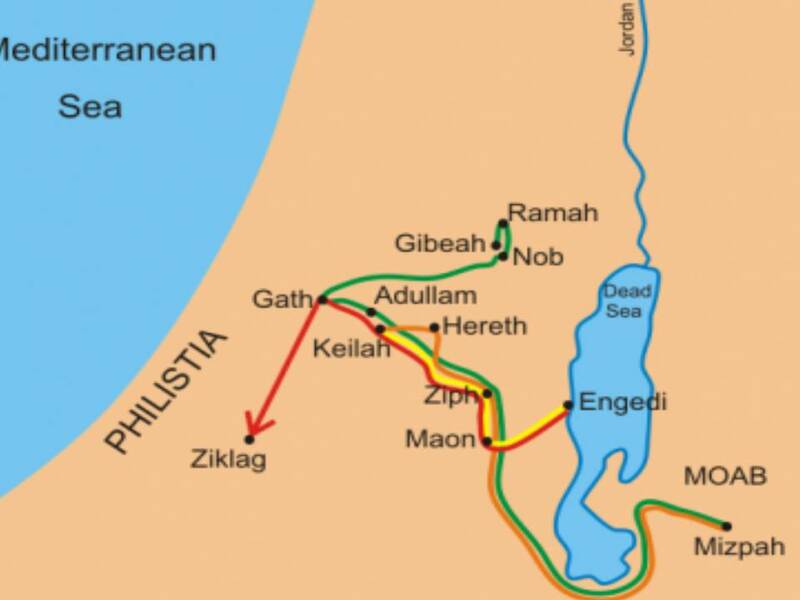 Certainly the Israelites saw His Might and Power when God delivered them from the clutches of the mightiest ruler on Earth – Pharaoh. Not only did God deliver them, but He rescued them by a Mighty Miracle that ended in the destruction of Pharaoh and his mighty army. Moses had discovered that our view of God’s Might directly influences whether we submit or rebel. What is so amazing is how the Jews continued their stubborn, selfish, whining ways. 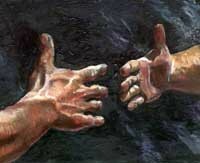 They had witnessed the greatest miracle of all time and still they were stubbornly resolved NOT to submit to God. They were in TOTAL DENIAL of EL GIBBOR. They had to learn a horrible lesson. When we humble ourselves to the Mighty God, we actually become strong. When we rebel and stiffen our neck to His will, we become weak, we become lost. Just like the Hebrews who wandered in the wilderness for 40 years. They became weak and died off, for God would not allow them to find His rest in the Promised Land. How do you view God? Is He weak and powerless? Then so will your life be! Is He Strong and Mighty? Then humble yourself before Him and He will make you strong! You shall be as the Gibborim – David’s Mighty Men!